Compact Design - The slim and compact design of the Electric Stapler makes it perfect for home, office, school or classroom, easy to carry. 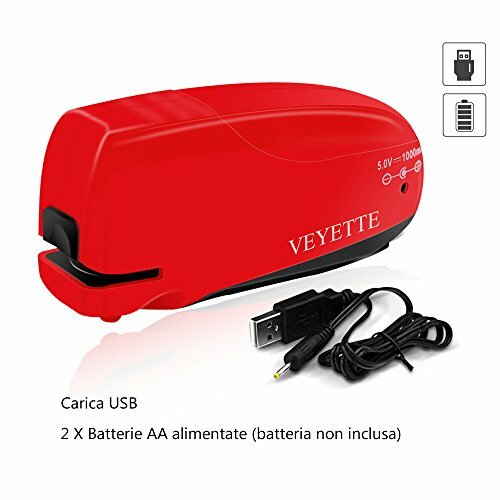 USB Cable / Battery Power: This stapler is lightweight, portable and powered by 2 AA Batteries (not included) or USB Cable Charging(included). It is compact enough to fit in your bag for easy transport, but powerful enough for everyday use. LIFETIME MONEY BACK GUARANTEE: Every stapler we sell comes backed with our Lifetime Money Back Guarantee. We are so confident that this will be the best stapler you will ever own and if you\'re not completely satisfied we will refund 100% of your purchase back to you.